©1976 Universal Pictures. All rights reserved. 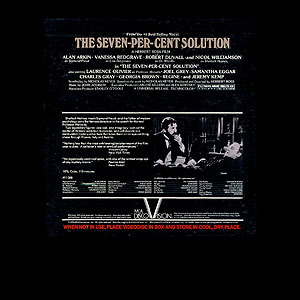 The video transfer is only average on The Seven-Per-Cent Solution. The contrast is not the issue with this release, as it was was with so many DiscoVision titles. This release appears washed out to the point of appearing dull. Further, the dark scenes are so overly bright, they appear blue. The audio transfer is clear and dialog is understandable, provided you can get over the very bad accents of all the actors. The audio level of the recording changes oddly between sides, an indication that all sides were not mastered by the same person, or at the same time. Replication is relatively clean throughout the entire title. However, some copies of side 4 have been known to exhibit 10,000 Frame Shift. Some copies also have a mastering error on side 5. For the full duration, the left and right channels are recorded out of phase, which causes Dolby Surround decoders to incorrectly process the audio, sending it into the rear channels instead of the center channel. Since there are at least two known masterings of the title, only the initial "huge box" copies may be affected by this trouble. 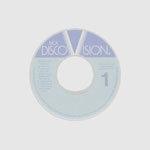 The title was last listed in the DiscoVision catalog in the October 1980 update. 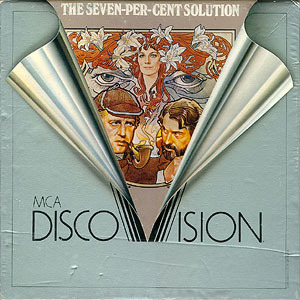 The Seven-Per-Cent Solution was reissued in November 1987 by MCA Home Video (Catalog #: 11008). That version is a 2 sided CLV disc.